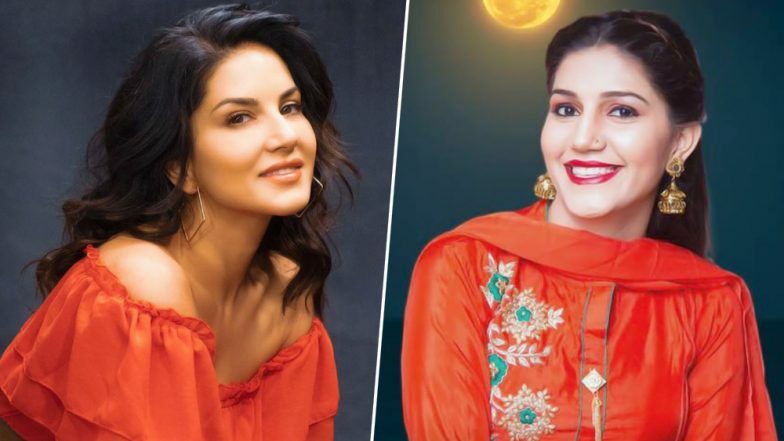 Sunny Leone Dances Hilariously on Sapna Chaudhary's Song 'Teri Aakhya Ka Yo Kajal' in This Viral Video! Apart from being a good actress, Sunny Leone is also a hands-on dancer. The stunner of Bollywood entered the town with her sizzling "baby doll" moves and since then, there is no looking back for her. After posting a few TikTok dance videos, her another dance is going viral. Sunny was seen grooving on Bigg Boss contestant and sensational Sapna Chaudhary's popular song, "Teri Aakhya Ka Yo Kajal." Sunny Leone's TikTok Videos on Sadi Gali and Bolo Tara Rara Will Give You an Instant Rush of Energy. The Jism 2 actress was seen dancing along with her female dance partner. Her fun, goofy yet perfect moves will sure make Sapna smile ear to ear! Earlier, she was seen dancing on her own song "Laila" and "Saddi Galli" and nailed it! Take a look at this new viral video below and you won't regret missing it. Meanwhile, she has already made a place in her fans' hearts with the web-series based on her life. The two-seasoned web series named Karenjit Kaur: The Untold Story of Sunny Leone got all praises from the critics as well as the fans. She also recently did a cameo role in a South film. The diva collaborated with Mammootty in the Malayalam film, Madhura Raja. Speaking of her next movie presence, she will be reportedly seen in the film called Arjun Patiala that also stars Diljit Dosanjh and Kriti Sanon in the lead. Coming back to this fun dance by Sunny, are you up for one more?